Hollywood of the South is now paving the way for many Georgia natives to pursue their dreams of being in the film industry right at home. With money saved up from her job as a manager at a Valdosta Chick-fil-a, Tina Sauls was just about ready to head to Los Angeles to find work in the film industry. And then the film industry came to Georgia instead. “I’m blessed that I get to work on films and pursue my dream of producing movies in my home state,” says Tina, a 2005 graduate of Valdosta State University with a BFA in Mass Media. She wasn’t always so optimistic about her prospects in Georgia. During college and right after graduation, Tina worked on several projects for FOX News, TLC, CBS and MTV. But eventually the projects dried up. Determined to pursue her dreams, she doggedly sent her resume to any film opportunity she could find in the Southeast. Though she wanted to stay in Georgia, Tina had decided to move to Los Angeles to find work in her field. She set a goal to save enough money to fund her move to California. As fate would have it, as soon as she reached her goal and was set to move, she got her break into the Georgia film industry. She was hired as a locations production assistant on the set of “Zombieland” filming two miles from her Valdosta home. Tina helped scout locations and used her local knowledge of people and places to get things done for the production, even convincing the fire department to spray water on location to test it for rain. 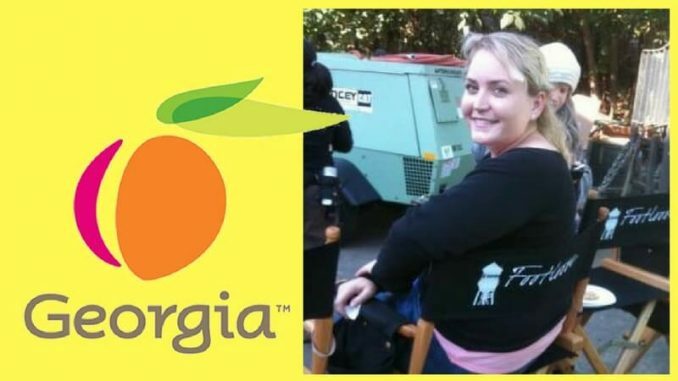 Tina’s insider knowledge of Georgia has helped in other ways on set. On “Footloose,”wardrobe personnel couldn’t find the right T-shirt to represent the South. Tina found the perfect look from the Smok’n Pig B-B-Q restaurant in Valdosta, and a lead actor wore the shirt in promos for the movie. After her fateful break on “Zombieland,” Tina found steady work on film and television productions in Georgia. 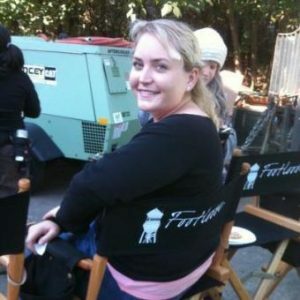 Her film resume includes work in the costume department on “Drop Dead Divas” and “Footloose;” as a director’s assistant on “Endless Love;” as an assistant to executive producers on “American Made”; in accounting on “Good Girls;” and as a production assistant on several other films such as “The Internship”, “The Hunger Games” and “Lawless”. Her goal is to learn all aspects of the film-making process from locations to accounting to eventually work as a creative producer. “I’ve always had a big imagination, and now I have a creative passion that allows me to play pretend for a living with some of the most creative individuals in the world,” says Tina. This story is presented in cooperation with the Georgia Studio & Infrastructure Alliance. Learn more about the Georgia Studio & Infrastructure Alliance.